First, I was confused. The story is a flashback, but for some reason I had a hard time catching onto that. I remember feeling irritated because I couldn’t figure out exactly where, in time, we were. Then I was hooked, as the story settled into the flashback and I figured out this is where Reacher began. This is his backstory, how he came to be. Why he travels so light. The whole of it. There’s more to come, I know, but this is where it all started. I have to say, it was quite fun delving into the why of it all. If you are a Reacher fan, you will love this book. It’s like snooping in someone’s medicine cabinet. It has everything I’ve come to love from a Reacher novel: Reacher, of course, in uniform…grrrrr! A couple of love-making sessions that steamed up the mirror and a mystery with clue upon clue and twist upon twist. If you haven’t read any Reacher stories, you’ve been missing out. Go…buy one…right now. I’ll wait. First Line: “The Pentagon is the world’s largest office building, six and a half million square feet, thirty thousand people, more than seventeen miles of corridors, but it was built with just three street doors, each one of them opening into a guarded pedestrian lobby.” Well, ain’t that interesting. Great tourist information, for sure. Typical Reacher style, definitely. Not a real hook for me though. Mind you, it picks up pretty quickly as Reacher enters the building, so don’t give up based on the first line. Plus, I suppose there are those who will be fascinated by knowing all that about the Pentagon. This was a fantastic read, and one of my favorites of the entire series. The last few books I felt like Lee Child was losing his steam a bit. Like maybe he was tired and done with Reacher. But this one proves he’s not done just yet. The structure does feel a bit Hollywood, perhaps in anticipation of a movie now that One Shot is finally in production? 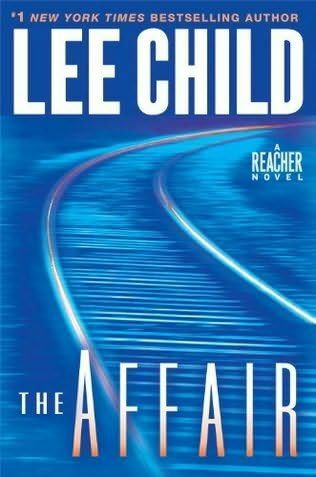 Whatever the reason, if you ever liked a Reacher book don’t miss this one. If you’ve never read one, start with this one. Then go back and read the others in order. 1 star each for great plot, excellent writing, fun pace, grrrr factor of lead character, and 1 for overall greatness. Lee Child, you outdid yourself with this one. 5/5 stars! 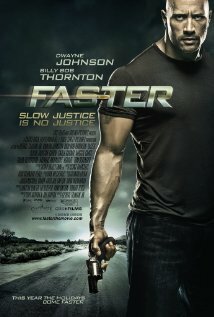 Faster -Dwayne Johnson, Billy Bob Thornton. An ex-con with a mission to kill the people who killed his brother. I know I wouldn’t want The Rock after me, that’s for sure! He did an awesome job with this. You could really see the internal struggle as he goes from person to person. The ones he kills, let’s just say they deserve it. It’s not often you can root for a bad guy like that. But the people he killed were worse! You can also see the humanity behind the pain driving him in this revenge journey all over his face. A twisty ending to the plot left me saying “wow, this is f’ed up”. But…satisfied. If you like action, cop drama type things…this is worth a watch! 1 star for great acting, decent plot, strong female cop character, and twisty ending. Minus 1 star for being so freaking dark. 4/5 stars.